I'm sure we all have brief moments in your makeup where we become a little lazy and just want something which is quick but still effective. If like me you're against the clock each morning to get ready before your 2yr old and 5yr old wake then listen up, you need to invest in the new Clinique Chubby Sticks for the Eyes! If you remember the launch of their fabulous chubby sticks for the lips they've gone one better this time and released a version for the eyes. 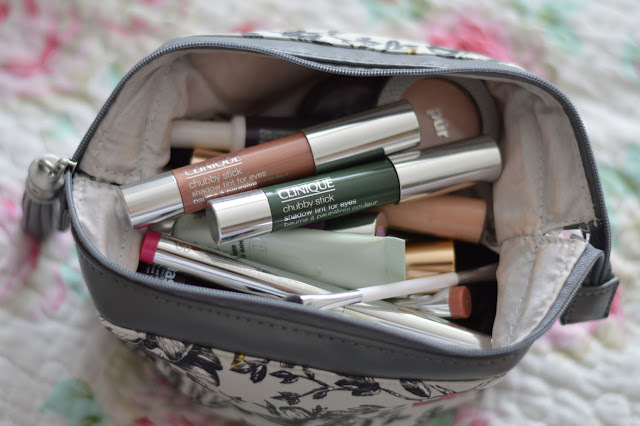 I have been using these everyday and think they're great, perfect for travelling in your makeup bag. You don't need any makeup brushes when you using these, I use my fingertips to soften the edge, making them perfect for on the go. Clinique launched 12 shades ranging from soft nudes to deep plums, navy and charcoal. I have Ample Amber, a golden metallic amber shade which compliments all eye colours, this shade also works great as a base for a natural look. If I want to wear soft natural makeup I reach for this. 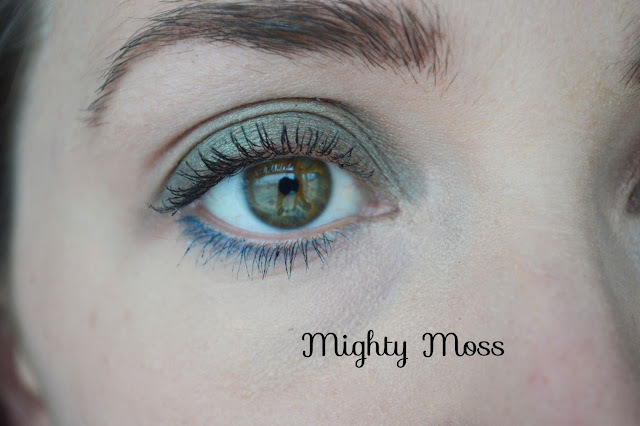 For days when I want a change and something darker I have opted for Mighty Moss, a gorgeous sage green which in turn looks gorgeous on all eye colours I imagine. 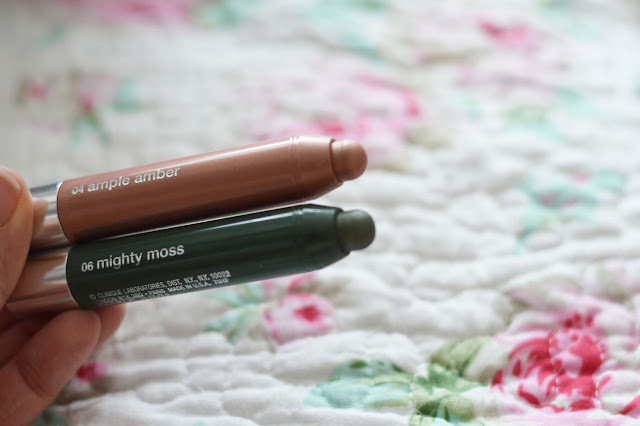 The chubby sticks for the eyes are so quick and easy to use, you don't need to be a makeup artist. I know my mum would use these and she is petrified of makeup.They add a nice wash of colour without looking heavy or caked on. No need for sharpners, you twist twist the base to reveal more product. 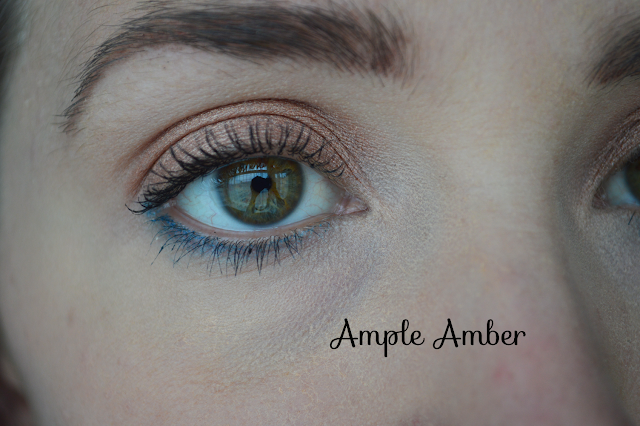 Have you tried the new Chubby Tints for the eyes? I saw those at the pharmacy recently but wasn't sure about them! I like how they look, though! Thank you for sharing!